If you have been convicted of public intoxication or PAULA (Possession of Alcohol Under the Legal Age) you can get these charges expunged from your record in the state of Iowa. To get your public intoxication or PAULA charge expunged, you must go 2 years (from the date of your conviction) without any law violations, with the exception of minor traffic offenses. If you have had no further law violations during the two year period following conviction, you are eligible to file a petition to have your charges expunged. What happens outside of that two-year window is irrelevant and does not disqualify you. Unlike public intoxication or PAULA charges, to file a petition to have any other criminal charges expunged in the state of Iowa you must get an acquittal, dismissal, or deferred judgement. It is important to note that even if the charge is dismissed or you get acquitted, it is not removable from your record unless all charges from the same case number have been dismissed or you were acquitted. That means if you were charged with multiple crimes under the same case number and get only one dismissed or acquitted, you cannot have it expunged if there were guilty verdicts for other counts in that same case number. However, if you had multiple charges and each had its own case number, you can get each one expunged if that particular charge in that particular case number was dismissed, even if you were found guilty for different crimes in different case numbers arising from the same incident on the same date. Most deferred judgments are automatically expunged once the probationary period is over, but you should follow up with your lawyer to make sure that has happened. Sometimes a petition is required to expunge cases that were deferred, particularly with simple misdemeanors. It never hurts to check Iowa courts online to make sure that expungement has occurred. Work with Adam Pollack to get your public intoxication or PAULA charges, or dismissed charges expunged. 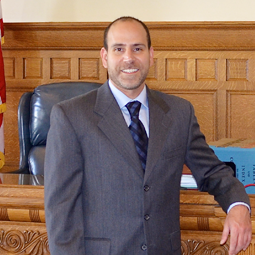 Adam will work hard to provide the best outcome for your case! Request a consultation to get started today.